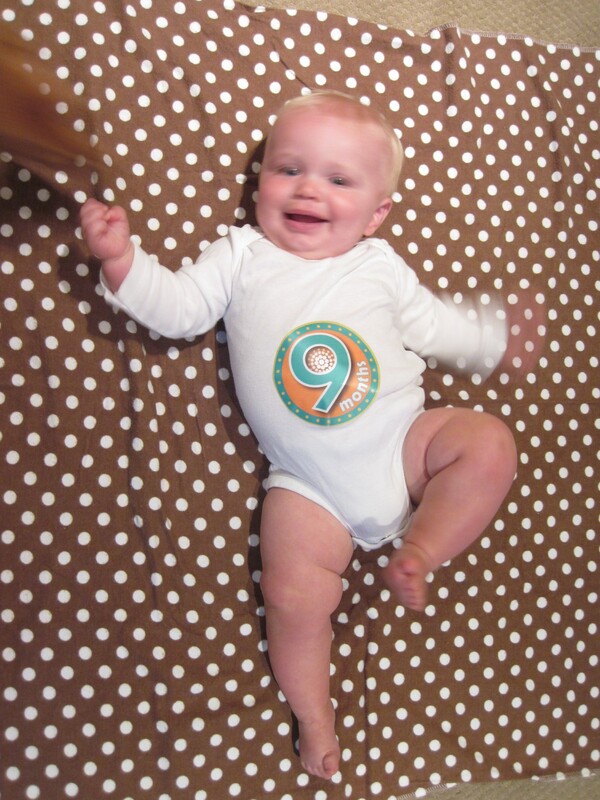 Kasen is 9 months old! 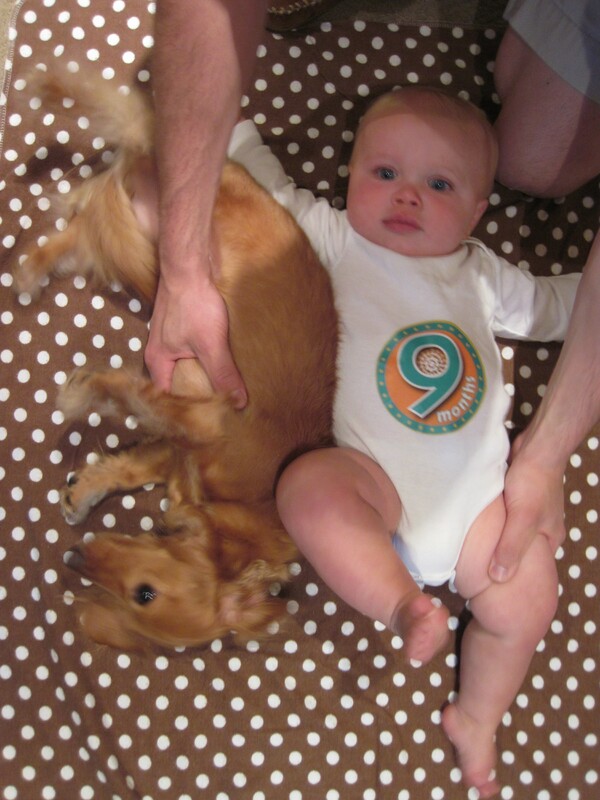 Kasen turned nine months old on Monday. At his 9 month well visit to the pediatrician, he was 19 pounds, 10.5 ounces (34th percentile) and 26.25 inches long (2.2nd percentile). His head circumference is still in the 80th percentile (big head, little body)! At his six month doctor’s appointment, Kasen was in the33rd percentile for weight and 3.8th for length – he’s nothing if not consistent! This month we had a LOT of trouble trying to keep Kasen and Gigi still. We took a ton of pictures and these are by far the best. Click here to see the album of Kasen photos from months past (when they were actually behaving). He loves pulling up on everything, and he can climb up stairs in the blink of an eye. He is eating everything in sight. We’ve transitioned him to finger foods (he loves mac and cheese, zucchini bread, scrambled eggs, strawberries, meatloaf, and animal crackers the best). He still eats purees at daycare still so that we don’t end up with leftovers in the freezer. Kasen’s daycare will start feeding him finger foods in the next couple weeks when we run out of purees. We met with Kasen’s pediatrician to discuss his short length about a week and a half ago. Kristin and Krister were concerned about his length because he should grow to be about six feet tall based on his parents’ height. His pediatrician agreed that the 3rd percentile seemed too small for him. However, because he is not exhibiting any other problems (i.e. he’s gaining weight just fine), we aren’t going to worry about his length yet. If he doesn’t catch up in the next year, we’ll meet with a specialist for additional testing. In the meantime, hopefully he’ll grow taller! At his 9 month doctor’s appointment, his pediatrician said that his top teeth are coming in. We haven’t seen any teeth make an appearance yet, but we should see them soon. His two bottom teeth are all the way in now and he uses them to take tiny bites out of crackers. Too cute.